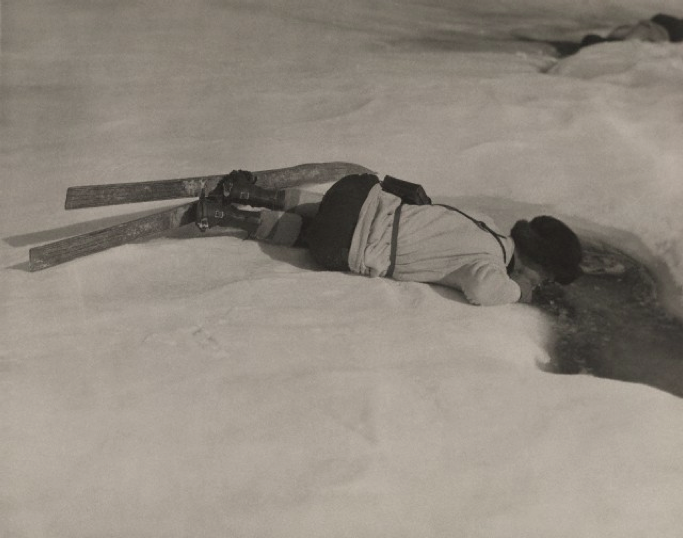 Photo of a woman drinking straight from Profile Lake in New Hampshire after skiing by Kenneth D. Smith for National Geographic, 1920. Skiing is thirsty work. Fantastic photo! oh this is so badass. clearly this was before bottled water's surge in popularity. My husband and I were able to drink from the lakes in the Boundary Waters on our honeymoon almost 30 yrs. ago! What a memory...(you can't anymore because of run-off from fields containing fertilizer, cow manure, etc. aka: "Beaver Fever" or e-coli). Such a pretty and unusual photo!